*Measure over your usual skydiving clothing. This means if you jumping cold weather, wear all the layers that you would normally wear. Make sure you take everything out of your pockets! Also wear usual footwear that you wear for skydiving. *Be sure to use a dressmakers tape. Ensure that the tape is flat and that you have not added any twists in the tape. *The tape should not be too tight or too lose when measuring. 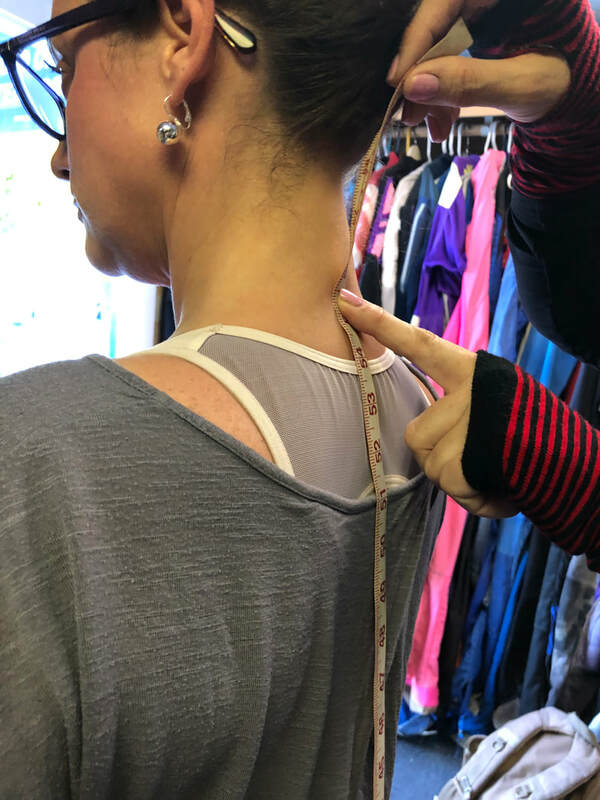 Also do not add or subtract to the measurements to get a different fit. *Please tell us the fit you would like: Tight, Regular or Loose. *If you are unsure of any point of measurement please ask! * arm and leg measure both legs and both arms. Largest measurement is the one we want. The following paragraph numbers refer to the numbers on the order form. ​Shoulder point to wrist, across point of elbow. ​Bicep muscle on predominant arm, flexed. Around the wrist with a minor gap between the tape and wrist. ​Around the fullest part of chest with arms down at the sides, be sure tape is level and do not inflate chest. ​Around waist, level with bellybutton. With feet together around widest part of hips. Be sure tape is level. ​(front) from the hole of the throat, along front of body through he legs. (back) along the back to the bone at the base of the neck Be sure the tape is not too tight or loose. ​it should be comfortable on the crotch. Top of the front of pant waist band through the crotch to the back of pant waist band. Be sure the tape is not too tight or loose. It should be comfortable on the crotch. ​Around the largest part of upper thigh. ​Around the largest part of calf. ​Tape should be close along the leg to the floor with shoes on. Standing straight from upper shoulder to side of ankle. Be sure the tape is straight. Yes is not a valid answer. 20 ) "Knee to Toe"
​Center of kneecap to tip of toe while siting, with lower leg about 45 degreees. ​Total distance around your shoe, at the fattest part.